Other Links: These are not our site. US Immigration Lawyer Jane Orgel, esq. The Yumi Yamada Karim, Attorney at Law Web site. She is a Japanese speaking attorney admitted in New York who specializes in immigration. Compass Compass Telephone Guide of the USA. Waseda University which is positioned as the first ranking in Japan. We are the Immigration Specialists in Japan. Ukraine, Poland, Romania, Belarus, Russia, The Philippines, the Kingdom of Thailand, China, Pakistan, Bangladesh, Sri Lanka, Nepal, Myanmar, Korea, Taiwan, India, Indonesia, Malaysia, Mongolia, Brazil, the United States, U.S., Canada, the United Kingdom, U.K., Britain, England, French Republic, Germany, Italia, Spain, Australia, Chile, Peru, Bolivia, United Mexican States, Colombia, etc. 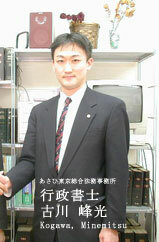 Copyright (C) Asahi Tokyo Law Office and its licensors. All Rights Reserved. Link Free. You can link this website freely.